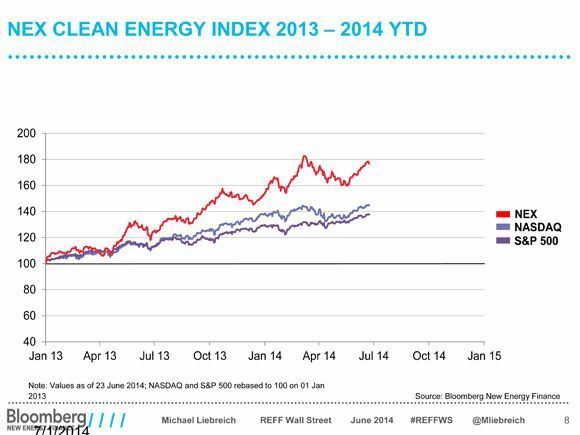 BNEF’s Liebreich sees bright days ahead for renewable energy. 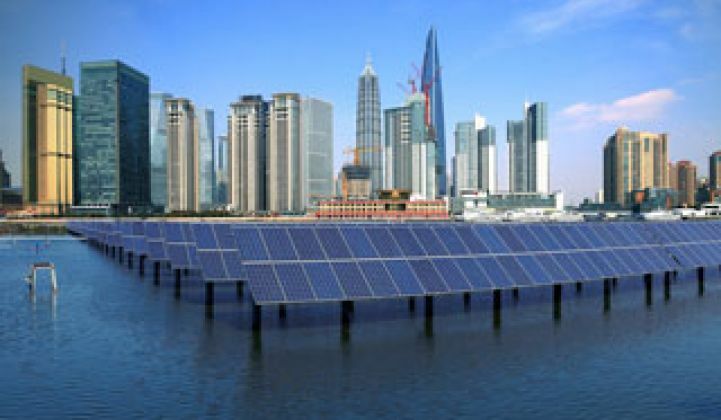 At the 11th annual Renewable Energy Finance Forum Wall Street that took place in New York last month, Michael Liebreich, chairman of the advisory board for Bloomberg New Energy Finance, reflected on how much has changed in the cleantech industry since the conference began more than a decade ago. Despite the immense growth and drops in cost for some renewable technologies, “this is the first time in more than ten years that we’ve seen a drop in the gigawatts of renewables installations,” Liebreich noted. Even so, BNEF expects installations to rebound next year and grow 37 percent from 2013 to 2015. There are many other indicators that cleantech is not only rebounding from a dip, but is actually thriving. 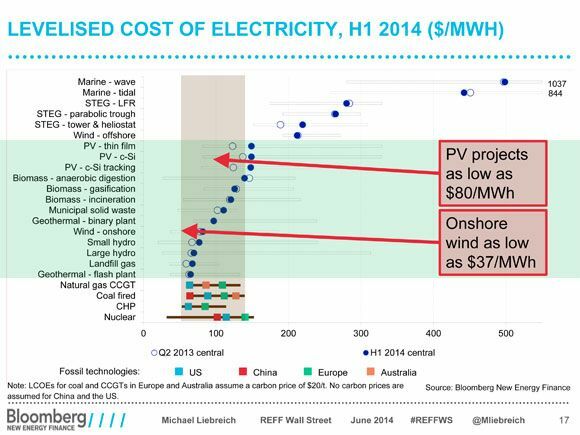 The three slides below show just some of the momentum that clean energy has attained in 2014. The NEX Clean Energy Index took a tumble in 2011 and didn’t start to steadily increase again until May 2013. Since mid-2013, however, NEX has outperformed Nasdaq and the S&P 500. 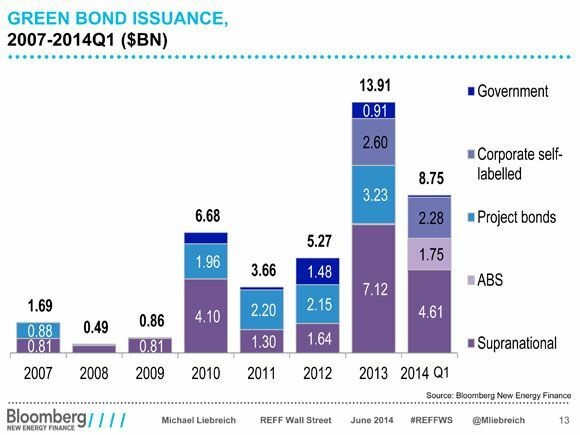 Green bonds took off in 2013, climbing to nearly $14 billion, according to BNEF. But that’s just the beginning. Liebreich said there has already been about that same amount of green bonds issued so far in 2014, and he said that figure could increase to $40 billion by the end of the year.